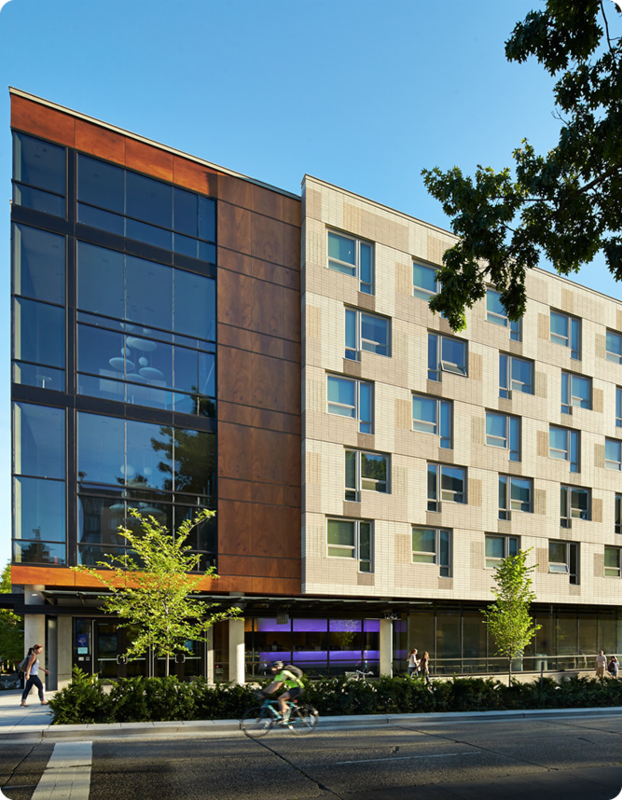 Upon arrival to University of Washington, proceed to Lander Hall to check in for your rooming location. The conference package includes three conference nights of lodging, checking in Monday, June 25 after 2 p.m. and checking out Thursday, June 28 by 11 a.m. There is no credit for shorter stays. Also included is a nonrefundable Reservation Fee of $20.00. Guest rooms include twin-size beds, private in-room restrooms, and wi-fi access. Hard-wire internet is available in the guest room if you provide your own Ethernet cord. Rooms are not air conditioned, small fans are available upon request. Seattle in June is pleasant and air conditioning is not a necessity. Arrival Date: Monday, June 25, 2018 after 2 p.m.
Departure Date: Thursday, June 28, 2018 by 11 a.m. If you need to arrive early or stay later than the conference package, you can extend your stay up to two (2) days before or after, as listed below. Early Arrivals: Saturday, 6/23 or Sunday, 6/24 after 2 p.m.
Late Departures: Friday, 6/29 or Saturday, 6/30 11 a.m. Reservation forms received after the deadline date will be processed on a space available basis and are subject to a Late Reservation Fee of $25.00. Parking: Parking is available, $15/day Monday – Friday and $5 on Saturdays. Parking permits can be purchased at Lander Hall. Dining: The west campus dining hall is Local Point, located in Lander Hall. Guests may purchase breakfast for $10 + tax between 7am – 9am, or dinner for $14.75 + tax between 5pm – 7pm. There is also a grab-and-go option in Alder Hall “Husky Grind” that serves coffee and pastries daily between 7am – 10pm. tax) per set or the actual cost of the key core replacement. Lost Conference and Building Access Cards: Replacement of lost conference and building access cards, at the cost of $10.00 (plus applicable tax) each, will be charged to the individual at the time of replacement.